Sharp doesn't want you to blame it for the fact that you can't get your hands on an iPhone 5, saying it's making "adequate volumes" of the display. Some industry insiders had said that the screen was causing supply issues, but Sharp is not having any of that. A Sharp spokesperson told Reuters that it is producing "adequate volumes" of the iPhone 5 screen. There were concerns that the screens would cause shortages because they're quite fragile and therefore tricky to manufacture in high volumes. Sharp isn't the only company providing Apple with displays, with LG Display and Japan Display also on Apple's books. 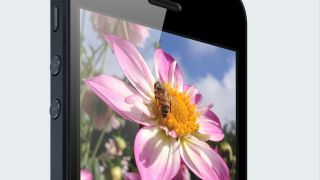 The iPhone 5 features a 16:9 widescreen among its various upgrades and improvements which made it seemingly irresistible to shoppers who snapped up 5 million of the things in its first three days on sale.